Stanley Kubrick helped the US government fake the moon landing. Beyoncé and Jay-Z are in the Illuminati. These stories are so well-worn that folks know them by heart. By now, conspiracy theories are a part of everyday American life—so much so that they even come from the mouths of besuited members of Congress on live television. Consider President Trump’s former lawyer Michael Cohen’s hearing before the House Committee on Oversight and Reform. 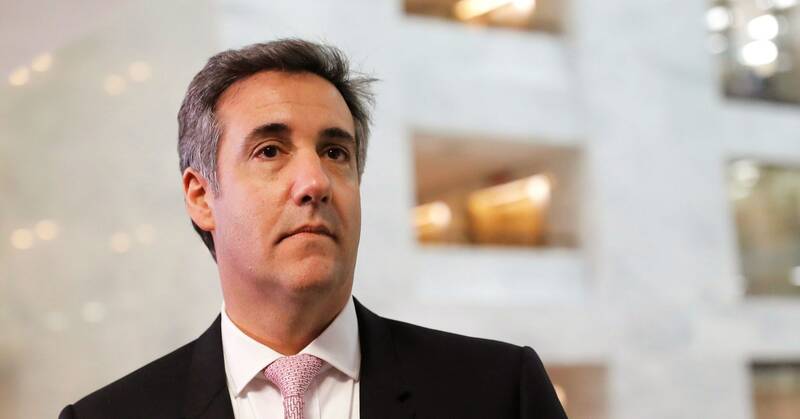 If you’re a Trump backer, you probably didn’t enjoy Democrats Jamie Raskin and Jackie Speier questioning Cohen about the often-alleged-but-never-confirmed pee and elevator tapes, but you weren’t surprised. If you lean left, Republican Jim Jordan’s allegations that Cohen’s (Jewish, Clinton-connected) lawyer, Lanny Daavis, was the hearing’s puppeteer was likely frustrating, but not shocking. Yet, all of this should leave you flabbergasted. Members of Congress ought to come armed with evidence—any evidence—before they air out a theory in such a formal setting. But these things go largely unchecked, because more and more often no one is surprised; they’re inoculated to it. For some committee members, demonstrating that they’re hep to their constituents’ online musings seems to supersede congressional hearings’ purpose: fact-finding. We’ve now entered the age of conspiracy politics. Even before they became a Trump-era norm, conspiracy-minded congressional hearings were something of an American political tradition. In 1954, as the Red Scare reached its panic point and the McCarthy hearings began, the stakes for what had been dry and wonkish inquiries changed forever: For the first time, hearings would be televised, live and in their entirety. Scholars at the time argued that the broadcasts were making a spectacle of governance, that providing politicians opportunities for televised grandstanding would leave the public (and congressional investigators) short on facts and long on partisan rhetoric. Even before they became a Trump-era norm, conspiracy-minded congressional hearings were something of an American political tradition. Typically, the party of the president (and the president himself) eschew conspiracy narratives. Breaking that rule used to come with swift penalty. As First Lady, Hillary Clinton was mocked for claiming she and President Clinton were the victims of a “vast right-wing conspiracy,” and so was President Obama when a 2012 campaign ad insinuated “secretive oil billionaires” were out to get him. Not so with President Trump. “Conspiracy theorists brought him to the prom, so now he has to dance with them,” Uscinski says. Politicians who want to escape the president’s Twitter-amplified ire (and please Trump-voting constituents) have to step in time. The echoes of “deep state” anxieties and other right-wing conspiracy theories that echoed through the hearings of James Comey, William Barr, Peter Strzok, Justice Brett Kavanaugh, Facebook CEO Mark Zuckerberg, Google CEO Sundar Pichai, Michael Cohen, and just about anybody who’s sat before Congress in the last two years, weren’t made by disconnected congresspeople left in the sun too long. They were made by canny politicians toeing a new party line more confidently with each hearing. The result is a constant hail of conspiracy theories beating down from political elites on both sides of the aisle. That worries Katherine Einstein, an American public policy and misinformation researcher at Boston University. “What’s scary is that there’s spillover,” Einstein says. “Exposure to conspiracy theories about any aspect of government reduces your trust in its institutions overall. These hearings are going to diminish trust in the House and Senate.” What other reasonable reaction could there be to a fact-finding squad with members doing their best to deflect attention from the facts? This, of course, is the danger. If everyone can occupy a universe of information of their own choosing, it’s not just politicians who are apt to fall prey to bias-confirming conspiracies—we all are. But that’s just a theory.